Combine the cherries, corn flour, 5 Tbs castor sugar, zests and juice. 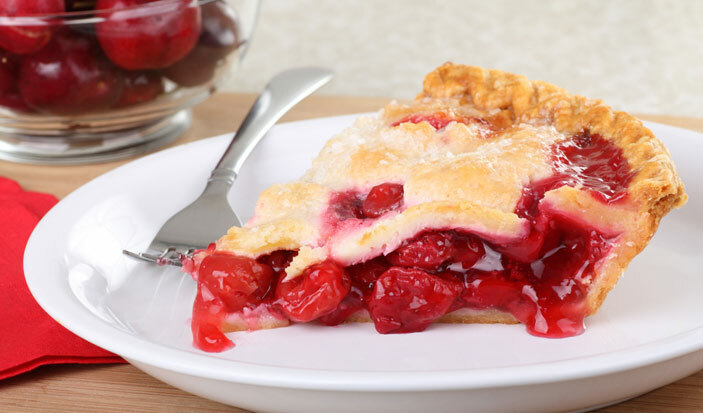 Place the cherry mixture into a pie dish then top with the pastry, making sure to tuck the sides in. Sprinkle over the remaining sugar then bake in a 180˚C oven for about 30 minutes or until the pastry is golden brown and the filling is hot and bubbling.